New car sales fell by more than 20 per cent in September as manufacturers failed to hit a deadline for new fuel economy tests - resulting in many models being removed from sale. The WLTP tests are intended to give car buyers a more realistic expectation of fuel economy compared with the previous NEDC tests; however, with manufacturers given until 1 September 2018 to test cars under the new regime, many models were temporarily removed from sale because they hadn't met the WLTP deadline. 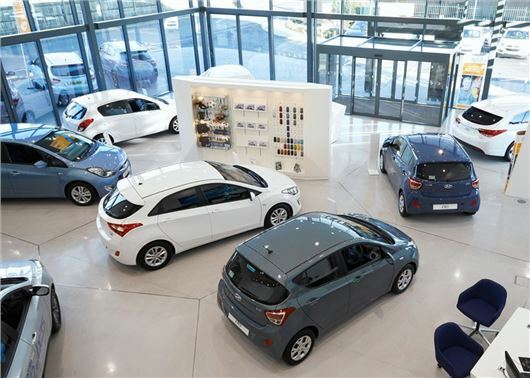 As a result, the UK new car market fell by 20.5 per cent in September - a figure which has been reflected across Europe, says the National Franchised Dealers Association (NFDA), which represents franchised car dealers in the UK. "Certain brands have fared worse than others due to the complexity and scale of the new testing regime." In a statement, the NFDA revealed that countries including Germany, Italy, France and Spain saw drops in new car registrations of up to 30.5 per cent in September. “The introduction of WLTP has been affecting private sales, mainly because of short term supply challenges, as well as fleet sales, due to its impact on company car tax and Vehicle Excise Duty rates," said the NFDA's director, Sue Robinson. "The declines across the main European markets demonstrate the challenges that WLTP has posed to manufacturers not only in the UK. As today’s figures show, certain brands have fared worse than others due to the complexity and scale of the new testing regime." Volkswagen Group has been hit hard by the deadline, with Volkswagen itself seeing a 55.18 per cent drop in new car registrations in September 2018 compared to the same period last year. Registrations of new Audis plunged by 53.42 per cent, while SEAT and Skoda saw a drop of 36.7 per cent and 31.32 per cent respectively. The Group's upmarket brands were also affected, with Porsche reporting a 67.85 per cent drop in registrations, and Bentley a hit of 73.87 per cent. The latter registered just 52 cars last month - despite a new Continental GT now on sale. Other car manufacturers that saw a sales drop in September include Citroen's upmarket DS brand (which saw registrations down 77.51 per cent) and Suzuki (a drop of 58.59 per cent). Infiniti registered just 42 cars in September - down nearly 90 per cent compared to the same time last year. It's not just the new fuel economy test that's to blame for the disastrous month for new car sales - a time when buyers have traditionally flocked to showrooms for the latest number plate. "A proportion of motorists feel unsure about which car to buy due to the lack of clarity surrounding a number of key policy areas," added Robinson. "We encourage consumers to talk to their local franchised dealership to obtain a better understanding of the current market offering." Ongoing uncertainty around diesel engines saw registrations plummet by 42.5 per cent in September 2018 compared to a year previously, while petrol also saw a drop of 6.7 per cent. It was good news for alternatively-fuelled vehicles (e.g. electric cars) which saw a small increase of 3.9 per cent, accounting for a market share of 6.9 per cent. "We encourage consumers to talk to their local franchised dealership to obtain a better understanding of the current market offering." I have an open order for a Skoda Kodiaq Scout 2.0TSI I don't see it arriving before February based on the information I have at the moment. I wonder how many pre-regged cars from just before the deadline are now coming to market - at least some must have not just stopped all production like Porsche & Co? The BIG issue is that prices have risen steeply- a modest new car can be over £20K. A top of the range Honda CRV is nigh on £40K- almost qualifying for £550 road tax. Not long ago you could buy mid range Lexus for £40K & a top CRV for £33K. I thought it was a funny suggestion to ask your local dealer what to buy too, you'll get offered whatever they have most of hanging around. Do you homework before you even step foot in a dealership. I think VAG are trying to redress the balance sheet post-dieselgate by ramping up list prices and cutting equipment out at all trim levels but it seems to be backfiring. £42k for a bog-standard C7 S-Line A6 Avant with ancient technology? Adaptive cruise a £2k option. Seriously? Audi are way behind on hybrid technology, too. No wonder people are deserting VW/Audi showrooms in droves. The less badge-conscious turned to Seat/Skoda then VAG ramp up their prices too so they are comparable to a VW. VAG's high list prices combined with higher CO2 levels won't be winning many friends with company car drivers, either. News that the Golf and Passat Hybrid production has been temporarily halted is crazy (but these are way over-priced too). I mean who would pay £42k for a new Passat DSE Estate? I turned to Volvo this time around (a bad choice with the V90, admittedly) and others did too as they are 2% up year-on-year. I'd definitely be looking at a Korean brand next given that most VAG engineers seemed to have ended up there having lost faith with their former employers.